Life insurance is oftentimes overlooked when it comes to financial planning. It is really not the most exciting part of the plan given the lack of a tangible benefit you see when you get one other than a contract. It is, however, an important part in building a strong financial foundation. It is the safety net to all the goals we want to achieve. Making a decision on whether to get yourself insured or not sometimes is difficult to make with all the options that are presented to us. So here are some frequently asked questions about life insurance to, hopefully, help you in your decision-making. Do I really need insurance? If you are the breadwinner or you have dependents, then insurance is a necessity. For those who do not have dependents, the answer can be a bit more complicated. There will be certain insurance plans (accident, health/critical illness) that you would need to ensure that your income is protected. You may want to also consider getting a headstart on your life insurance. As you have dependents, expenses get higher and oftentimes, insurance takes a backseat to milk, diapers and other necessities for your dependents. So paying for premiums earlier makes the adjustment easier as your expenses grow. Should I get a VUL or should I just buy a term insurance and invest the difference (BTID)? That’s probably the most common question one should ask when choosing the type of insurance to get. The concept of BTID is, you buy a term insurance, which is the cheapest form of insurance, and then get different investment products separately. A variable unit-linked (VUL) product is, having insurance and investment in one product. If you are not a disciplined investor, VUL could be the product that fits you better. BTID would require some discipline as your investments are made voluntarily so it is not as easy for those who have not yet mastered the discipline of saving or investing. 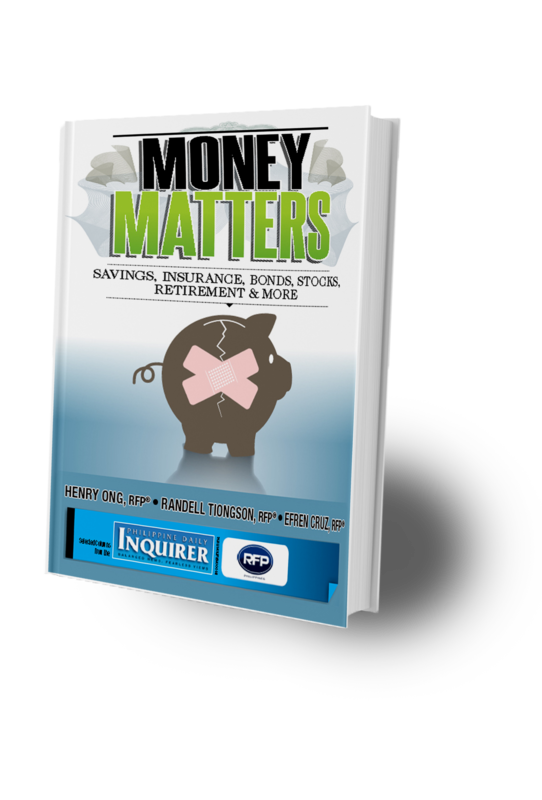 Having said that, BTID would be a good choice for those who are tight on budget, as the term insurance is significantly lower and you can passively invest in pooled funds, or stocks, for as low as P1,000 – P5,000. How much coverage is right or enough? Determining the amount of coverage depends on your current lifestyle. Obviously, the higher lifestyle you have the higher insurance coverage you might need. The basic computation for determining your coverage is to take your annual income and multiply it by the number of years you think your family will need to adjust living without you. Usually, it’s between three and five years at the least. You can factor in the projected yearly inflation to ensure that what you have left for your family is enough. Is it better to get insurance from different companies rather than just one? First off, getting insurance from different companies is not really called diversifying as I hear many people using this term. You get insurances from different companies because you feel their product fits your needs. Majority of the top insurance companies would probably have similar or close to similar products, but there will be one or two out there that would fit your needs and preferences perfectly. So to answer this, it is better to find the best insurance product for you, assuming all companies you are choosing from are among the top in the country. Equally important as well is to have a financial adviser you are comfortable dealing with, because insurance is a product that at times would need some after-sales support. So having a financial adviser to assist you would make it more convenient for you. There are times we get into analysis paralysis when we inquire about insurance products. Hopefully, these questions will help you in your decision-making process. In case you have other questions in mind about the topic, feel free to shoot me an email at jeremyjessley@gmail.com and I would be more than happy to answer your question in this column. Jessley Tan is a registered financial planner of RFP Philippines. Attend the 60th RFP Program this March 2017. To register, email info@rfp.ph or text <name><e-mail><RFP> at 0917-9689774.